1. 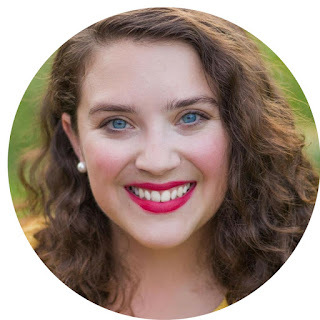 Just because one woman at one church suggests that you use this "blessed" time as an unattached female to make good use of yourself teaching English in Africa doesn't mean that every woman in the Church looks down on you for being unmarried and un-with-child at the ripe age of twenty-five. 2. Your husbandless, childless life is in no way a reflection of your self worth. It's okay to ignore the people who try to tell you otherwise. 3. They don't give A pluses in day jobs. 4. Yes, you have thoughts and opinions on how God has shown you how He loves you. Listen when a woman in your Bible study tells you that she "never understood God's love until she had children." This is how the Lord speaks to her, don't shut her out of your life. You might learn something. 5. You'll remember this season as your "starving artist" years. And you'll be thankful for the time that you were able to pursue your craft without the pressure of having people watch. 6. Your story matters. Even if it has been told before in art, song, dance, rhyme or prose, it hasn't been told by you. Don't let the fear of comparison paralyze you from pursuing your calling. Ever. 7. The more selfless you are, the less people will notice. Take heart. Keep going. 8. Married people are sometimes lonely, too. Even lonelier if they have children. 9. You can be friends with married people. And you can have fun with their children. 10a. Cable is a nonessential. 10b. As much as you want it to be, the internet is not. 11. Just because a guy has a Southern drawl doesn't mean he will abide by Southern manners. 12. Your upstairs neighbors can hear you singing selections from Phantom of the Opera and Beauty and the Beast when you're home alone. 13. The lyrics to Great is Thy Faithfulness are the truest and most humble words of all time. 14a. When the Pizza Hut delivery guy says "This apartment looks familiar, have I been here before?" it's time to stop ordering medium, extra-cheese pizzas for yourself. 14b. Related, running isn't as hard as you believe it is. Neither is cooking for yourself. 15. The tips and extra cash you made at your restaurant job does, in no way, compare to what you've gained in your steady 9 to 5 job that grants you benefits, weekends and major holidays off, a social life and your sanity. 16. Sometimes the people who love you displace their fears, frustrations and disappointments from their own lives onto your current situations. Make sure that their advice is wise, and not tainted with bitterness before you let it turn your whole world upside down. 17. Nowhere does it say that you can't be true friends with your coworkers. Make them dinner. Invite them to your home. Get coffee with them. Create a web series with them. They just may inspire you to do things you've never done. 18a. The idea of Fireball Whiskey is far better than its consequences. 18b. Mexican food is this idea's only cure. 19. Only succumb to Stitch Fix if you are super organized and type-a enough to return the items you don't want within the three-day time limit. 20. 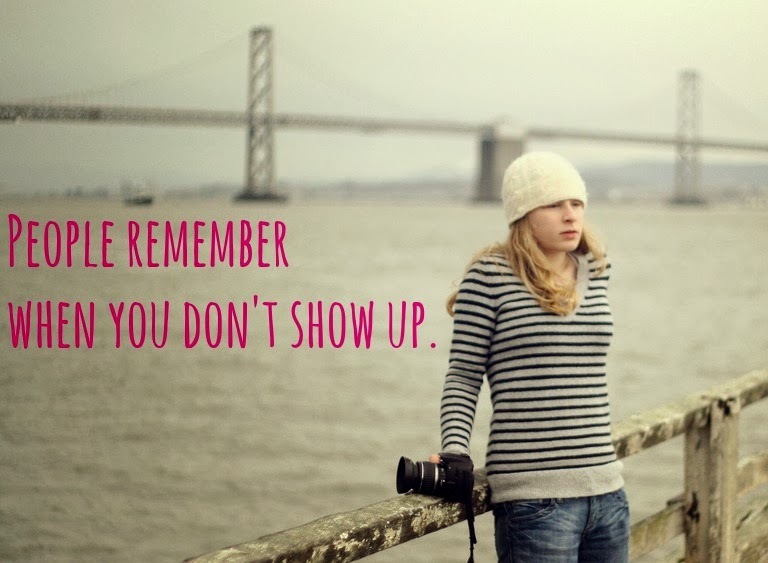 People remember when you don't show up. 21. Unless you want to live in a perpetual state of self-pity, don't think of yourself too much when a friend announces she's engaged/pregnant/promoted or has achieved any other noteworthy levels of life. Something spectacular is unfolding every day. And these stages aren't always as easy as Facebook makes them seem, anyway. 22. Most of the time, when you're facing opposition it means you're doing something right. Don't get discouraged. 23. Always pick up the phone when a girlfriend calls you at 2 a.m. She needs you. 24a.No matter how much time has passed, or the state of the breakup, a friend's ex is off limits. 24b. So is your ex-boyfriend's roommate. 24c. So is the cute cook who works in your restaurant. 24d. The best men to date have beards, love Jesus, play the guitar and make you laugh. Hard. 25. Plateaus are boring, never stop learning or growing. Or making lists. 24D....I swear to Jesus that we have been separated at birth. I encourage single ladies to talk to older single women (30s/40s/50s) about living life as a singleton. I don't say this to mean you plan on being single in those decades. I can tell you, none of these women planned on it (I know I didn't!) But, hopefully we can help you identify and avoid some of the struggles we dealt with. One thing I wish was that I had a woman who'd gone before me when hitting the milestone birthdays; turning 40 was HARD, and I could've been spared some pain. Thank you, Kate! I'm so grateful for the experienced women who have shaped my life. I don't know where I would be without their wisdom. I think we all have a lot to learn from each other--I would encourage you to learn from the twenty/thirty-something generation, too! 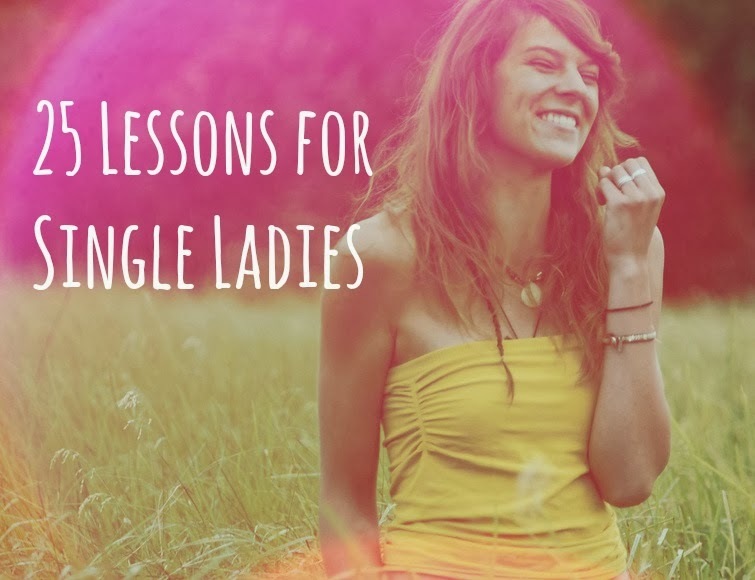 And singleness doesn't have to be the only topic up for discussion! I'm so glad you stopped by to read! I hope you'll come back!